Two bald eagle eggs laid last month in Southern California have hatched in a nest watched by nature lovers via an online live feed. The camera was installed by the group Friends of Big Bear Valley in the San Bernardino National Forest east of Los Angeles. The first egg arrived March 6, followed by the second one a few days later. Officials say the mother and father shared incubation duties. The U.S. Forest Service tweeted that the first fuzzy grey chick poked its head out of the shell Sunday near Big Bear Lake. 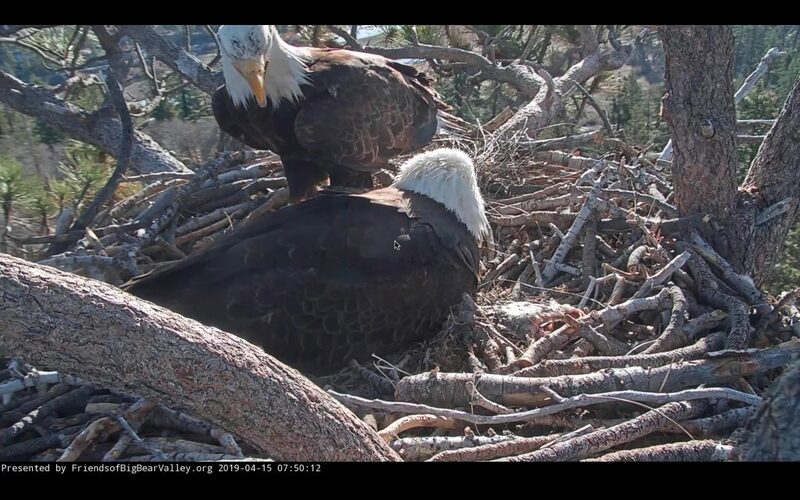 Viewers witnessed the second of two bald eagle eggs hatching in Southern California mountains Monday morning. Find an Eagle Feather? Federal Law Says Don’t Take It. Cuomo Did.